Yes, they made it look easy today, but lest anyone doubt how serious things were before the fire was extinguished, take a look at this photo of about 20 fire fighters (lower left) on the ridge just south of the fire. Look how intense the flames are just beyond the ridge. 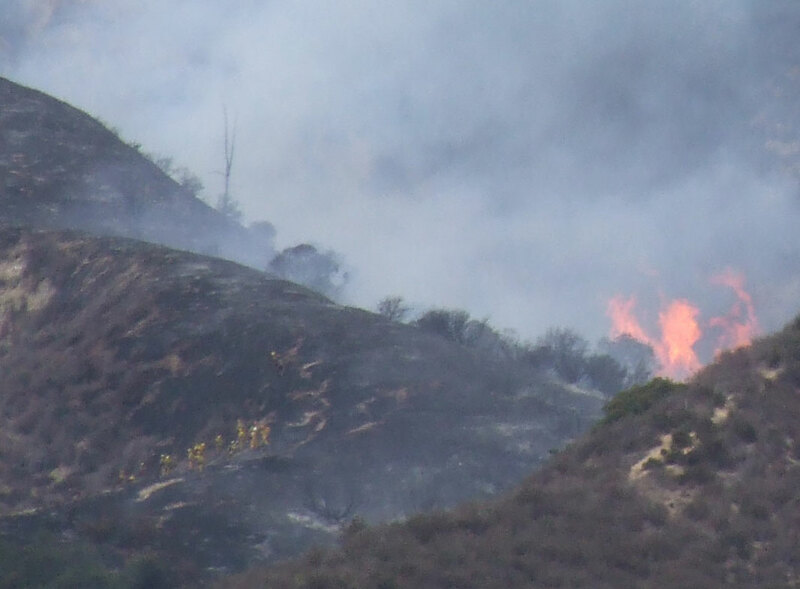 According to the Pasadena Star News, the people in the photos are 20 specialized fire fighters known as the "The Bear Divide Hot Shot Crew." 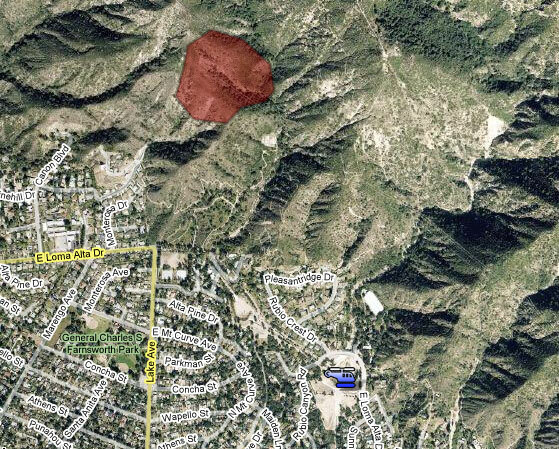 After analyzing the photos, Isaac and Jeremiah's best estimate is that today's fire burned approximately in the area of this Google Map marked in red.